We are so excited to announce that Kennedy Robinson Public Relations is an Official Ambassador for the Philly stop of the Sistahs in Business Expo! 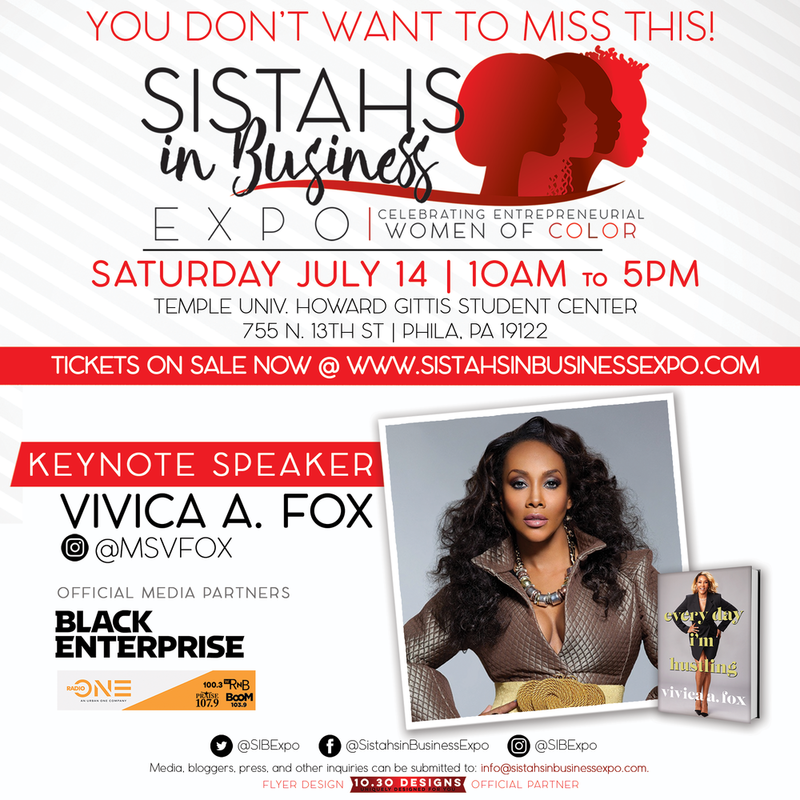 The Sistahs in Business Expo will be making the 2nd stop of its 2018 tour on Saturday, July 14th in Philadelphia, PA from 10am to 5pm at Temple University's Howard Gittis Student Center. The expo provides an accessible platform where women of color can significantly expand their reach and grow their businesses. After a successful launch in Newark with over 700 attendees, Keynote Speakers MC Lyte & Dr. Lynn Richardson, an appearance by Mayor Ras J. Baraka, over 70 vendors, a SuperPower Panel and more, the SIB Expo team is looking forward to continuing its tour on the east coast in the great cities of Philly and Columbia. Join us, Saturday, July 14th at Temple University’s Howard Gittis Student Center from 10 AM-5 PM. This expo will welcome 70+ vendors from Philadelphia, New Jersey, Delaware and surrounding cities, and will attract over 1,000 attendees. It is sure to be filled with opportunities for business growth, increased revenue, significant brand exposure, and organic networking for all who attend. “We couldn’t be more honored to have legendary Actress, Philanthropist, and Businesswoman Vivica A. Fox as the Keynote Speaker for our expos in Philadelphia, PA and Columbia, SC. Her career exemplifies the epitome of sisterhood and success and she has blazed the trail for so many other women of color. We are also very excited to have her conduct a booksigning at each event and are confident that our audience will appreciate the gems she shares both in her speaking and her writing. We are confident that she will bring great energy and expertise to our audience and look forward to having her share with us,” says Aisha Taylor Issah, Founder & CEO of the Sistahs in Business Expo.